I never realize how comfortable I am in my own little painting world UNTIL I step out of my NORMAL realm and my friends are all shocked! 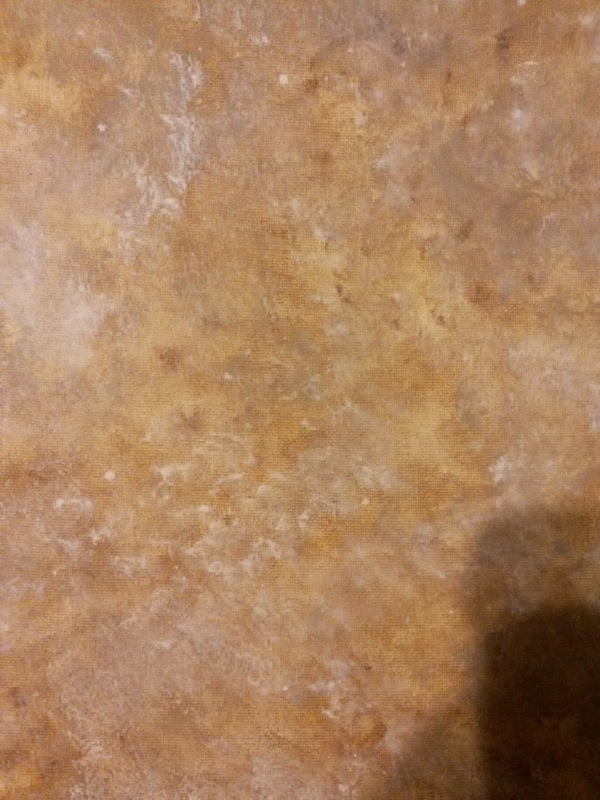 I am a self-taught painter and I have painted LOTS of different things trying to find my niche and learning new techniques. 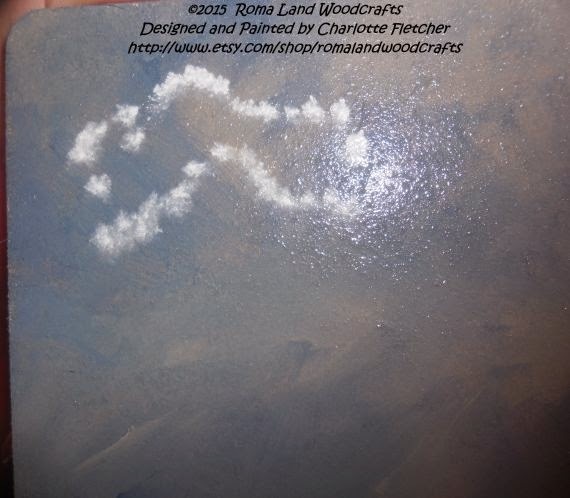 I painted a few years before I learned the technique of floating. 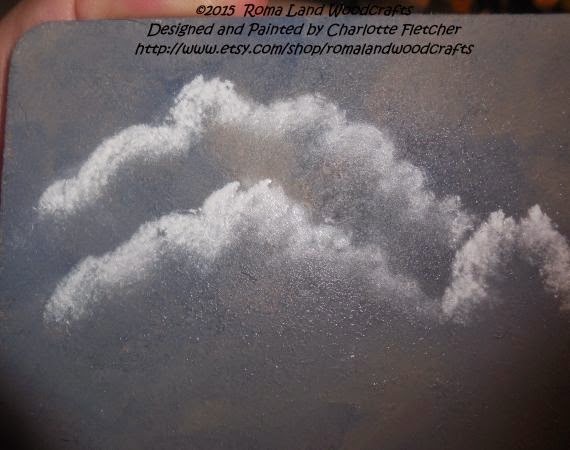 I had grown to love the "dirty brush" method (figures, huh) to get my highlights and shadows. I am glad that I did that because it taught me about PAINT! 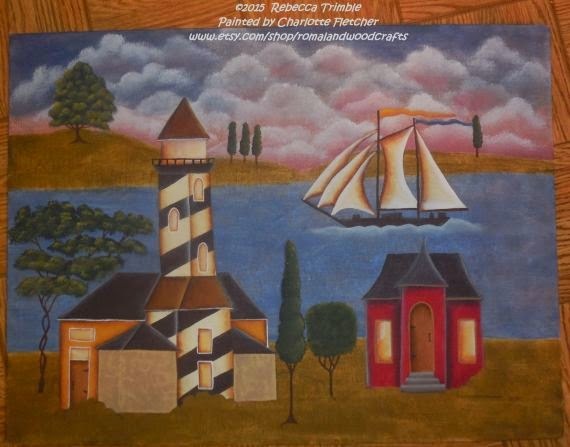 My friend, Lynn, of Painting Thyme Needfuls, was painting a piece by Rebecca Trimble, so I was inspired. 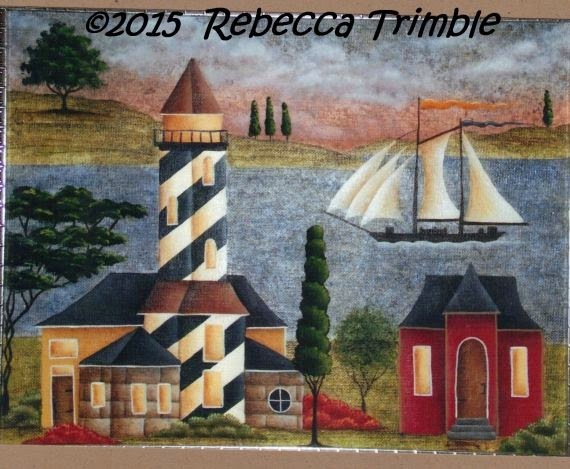 I FINALLY decided that I would paint a Pattern Packet called, PORTER'S LIGHTHOUSE. 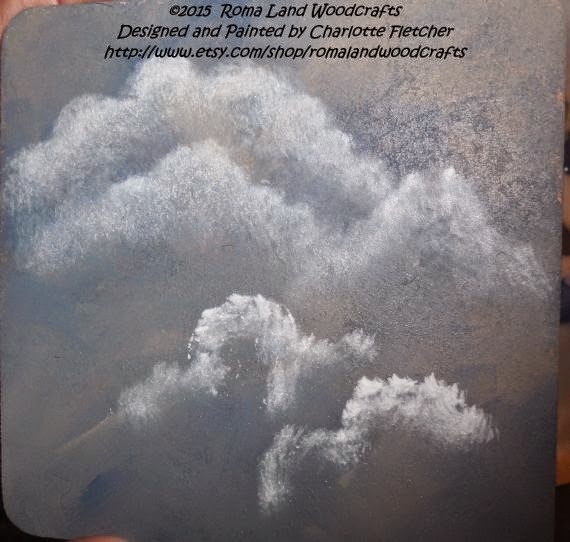 Yes, I went a BIT CRAZY with the clouds, but they are so fun to paint! ME? I do the best I can!! 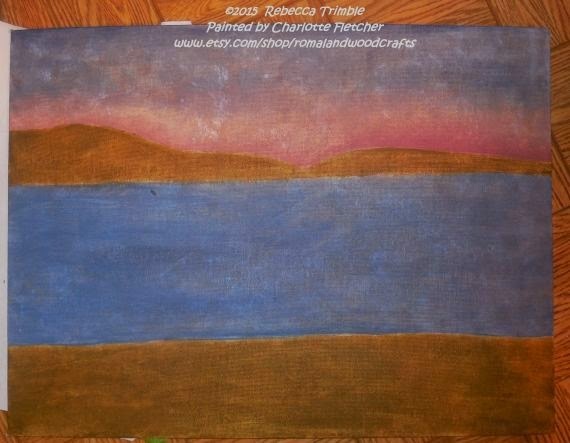 I did NOT have Spicy Mustard or Autumn Red, so I used my favorite colors of TUSCAN RED and MARIGOLD. just added that extra HAPPY COLOR that I love to paint! I am CERTAIN my washes were too heavy, but you know what? 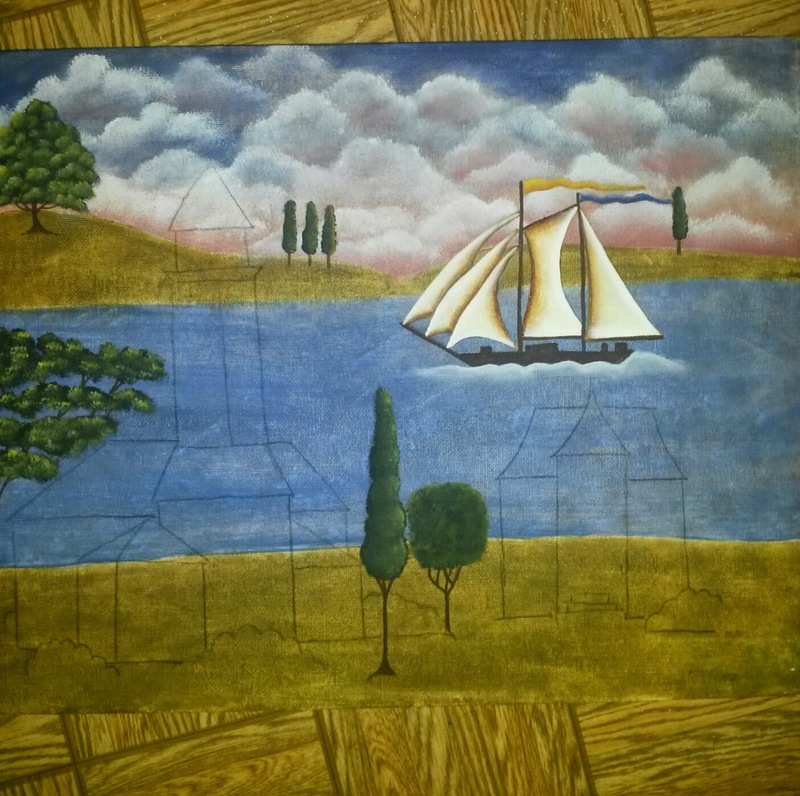 This is the Original picture from the pattern packet. 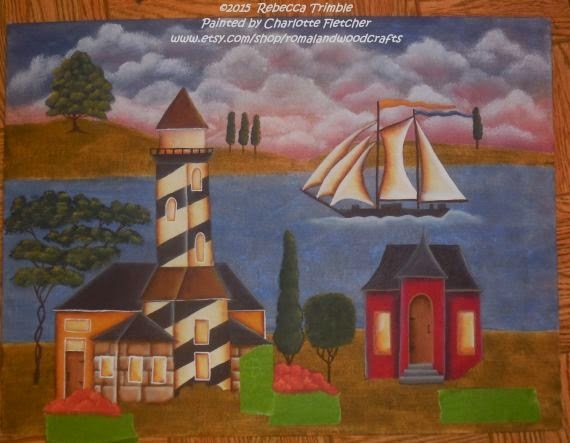 CLICK HERE to go to Rebecca's website. 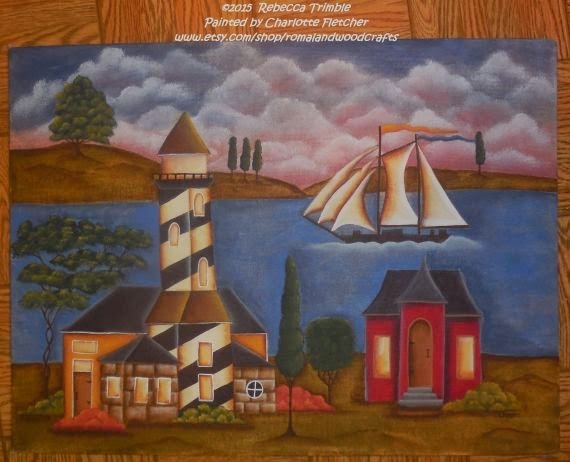 COMFORT ZONE to paint this beauty! 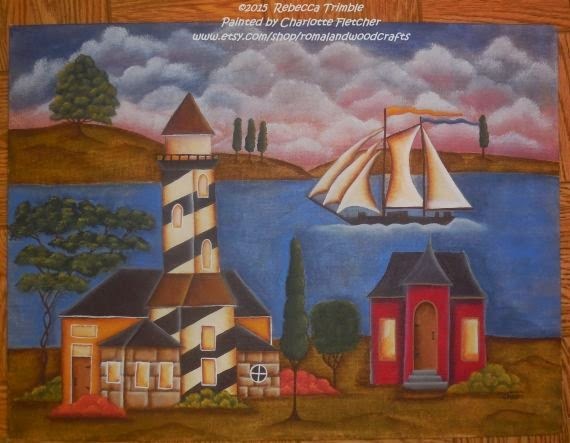 OF COURSE, I used DecoArt Americana PAINTS, as I always do...I THINK they are the best for MY paintings! 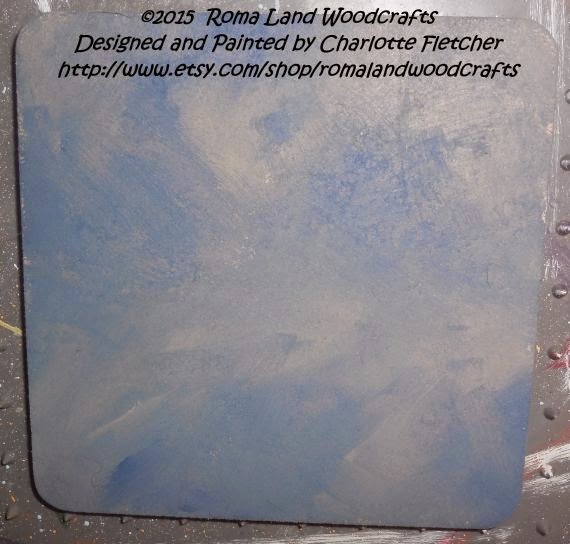 I painted the sky with UNIFORM BLUE AND KHAKI TAN using a slip-slap motion...don't have a solid covering. 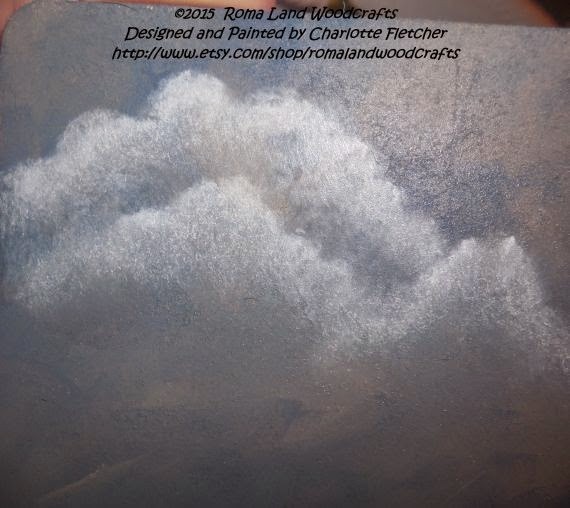 I added more White paint for another cloud...Only work on 2 or 3 clouds at a time because the paint will dry and you will not get the softened look that is the goal! 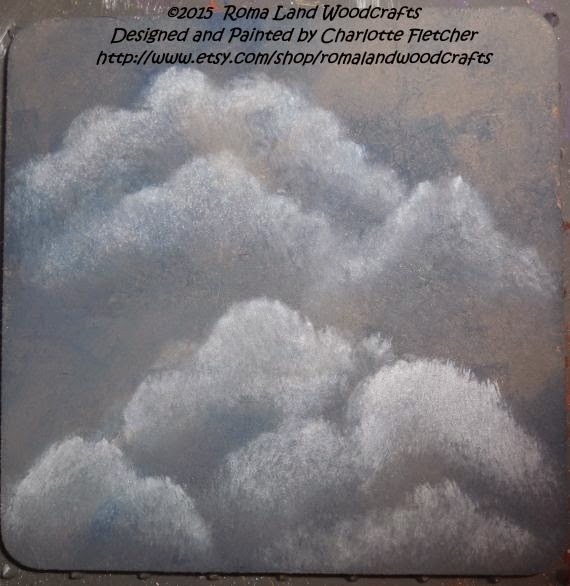 This is after they have been mopped...you can add some COLORS in here using the same method, if you wish, OR add a VERY LIGHT WASH of another color to the bottom of the clouds, but that is the method!! So love this Charlotte! And thanks for the education! 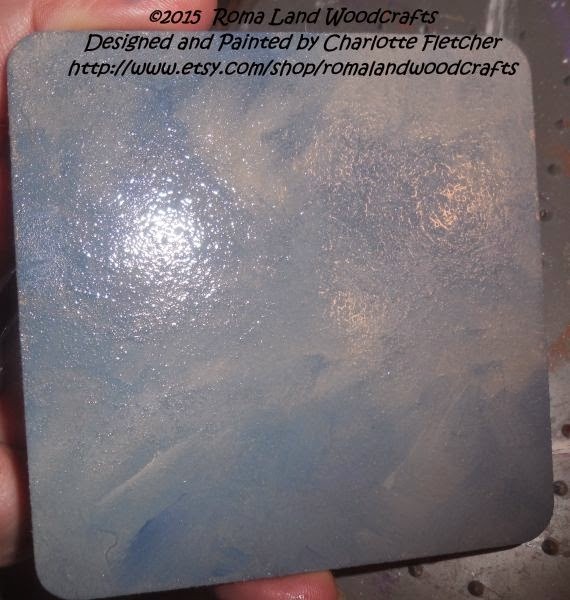 You did a fabuous job on this piece Charlotte! Your clouds are wonderful!